R.J. Rushdoony: 00:01 Is happiness a crime? This is R.J. Rushdoony with a report on our threatened freedom. Several times lately I’ve seen a news item in several magazines with very different political principles. This news item was a startling one, but it rang true to so much in our world today. In Lancashire, England, a couple, [Aria 00:00:25] and Esther [Hoff 00:00:26], have been foster parents to over 40 children in the past four years. They decided to adopt some children, but the local social services agencies, denied their applications saying, and I quote, “Both of you have had few, if any, negative experiences when children yourselves, and also seem to enjoy a miracle experience where rouse and arguments have no place,” unquote. R.J. Rushdoony: 00:58 The letter went on to say that adoption could not be approved because the children would have insufficient exposure to negative experiences. In other words, a happy marriage and home were said to be a liability. Happiness was treated as though it would endanger the mental outlook of the adopted children. I thought again of the Hoff’s and their predicament when a friend described a guided trip into the mountains. A young guy spoiled the entire trip by insisting on his right to lecture against pollution. The entire area was national forest. There was no threat of any exploitation to the area, but the guide’s perspective was that for people to relax and enjoy a wilderness trip was somehow immoral unless they paid the price of some miserable lectures. R.J. Rushdoony: 01:53 We live in an age full of killjoys who are determined to make us miserable over something. They’re attitude is that in a world full of problems, how dare we be happy? Such ranters want to make people feel miserable if they enjoy a good meal and then relax before the television set to watch a favorite program. They do not want us to have any freedom from problems. If we are not bemoaning or demonstrating over something, we are somehow moral wretches because we sometimes sit down and relax or because we are really happy and enjoy life. I believe these killjoys are a threat to freedom into the solution of problems. Because they exaggerate every problem, they make people skeptical of everything they say. Lacking balance, they turn people off. R.J. Rushdoony: 02:49 Moreover, their totalitarian mentality is very real. Unless you are intense and miserable as they are over every problem, you are, in their eyes, morally reprobate. The fact is happiness is as real in this world as our problems. We dare not deny the reality of either or turn our backs on happiness or our problems. The Bible tells us in 1 Peter 3:7 that life itself is a grace and to be enjoyed as such. Those who deny the grace of life and its joys will soon lose their freedom also. 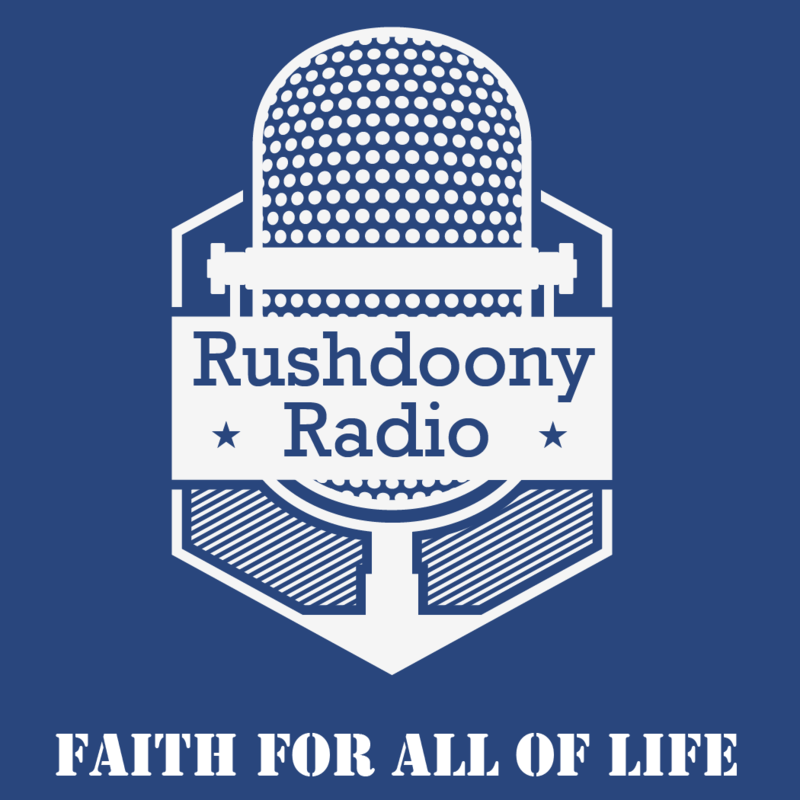 R.J. Rushdoony: 03:33 This has been R.J. Rushdoony with a report on our threatened freedom.